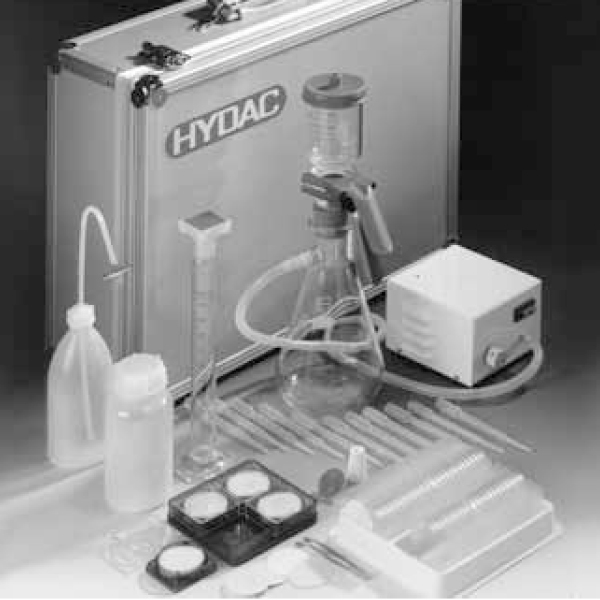 The Fluid Analysis Set serves to produce contamination monitors from oil samples. Indeed, we use this Fluid Analysis Set to analyse samples taken from hydraulic and lubrication systems with regard to solid contamination. Therefore, by comparing the microscopic evaluation with reference photographs, a rapid assessment of the fluid contamination (cleanliness class classification to ISO 4406, NAS 1638) is possible.